At 19th week of pregnancy, the baby is about the size of a heritage tomato, and the fetus is now in line with the mother’s belly. This article provides an overview on the fetal development, maternal changes, signs and symptoms and some interesting facts about the 19th week of pregnancy. At this point of second trimester, fetal development is specific and clear-cut. The baby is excreting urine and her/his hair begins sprouting on the scalp. Also, when you conceive a baby girl, there are 6 million egg cells found in her ovaries. Baby’s senses are also specializing – vision, touch, hearing, taste and smell. In addition, a waxy, creamy protective coating known as vernix caseosa is formed which prevents the skin of an unborn child from chapping and wrinkling. Moreover, melanocytes are starting to work on the baby’s skin. Quickening or fetal movements occur more often at 19th week of pregnancy. Because the baby can hear at this point, he/she might startle whenever a loud noise is heard. Round ligament pain or a sharp pain in the hip area is a common occurrence during the second trimester. Round ligament pain is not definable and can occur either on either side or both sides of the abdomen, hip or groin region. It should be mentioned that this maternal body change is normal and is caused by expanding and growing uterus. Some mothers may notice their palms are so red than usual. Again, this is normal and is caused by extra estrogen; so, there is nothing to worry about. Furthermore, the ‘mask of pregnancy’ or chloasma is beginning to show off at 19th week. Chloasma is characterized by dark patches on the face particularly on the cheeks, forehead and upper lip. The linea nigra may also become more obvious. The aforementioned pregnancy symptoms are not permanent and are expected to fade shortly after delivery. To lighten dark spots, protect skin by wearing sun screen and using covers or hats in outdoors. Because skin tends to become dry and flaky during pregnancy, drink lots of water and avoid caffeine. Use of Herbs: Some mothers are accustomed to using herbal plants in treating health problems. They may already have proven their benefits, but only few studies are made to validate their effectiveness and safety of use to pregnant mothers. 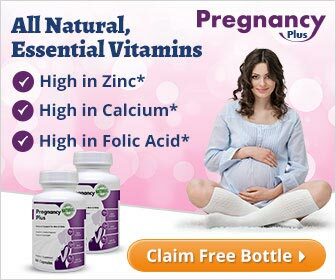 It is advisable that moms-to-be should avoid taking any herbal preparation without consulting their health care provider. Some herbs stimulate uterine contraction which can lead to miscarriage. Dental Care: Get an appointment for your dental care and regular checkup. Dental procedures are best performed before pregnancy. Any dental treatment is avoided during the early pregnancy since first trimester is crucial for the baby’s growth and development. Any elective procedure is postponed and done after the delivery of the baby. Periodontal disease is best managed by proper oral care. Dealing with Stretch Marks: Due to the growing baby, your skin expands. Thus, stretch marks in pregnancy are hardly prevented. However, to decrease the likelihood of developing stretch marks, there are some ways mothers can do. These include eating healthy foods and avoiding excessive gain in weight. Drinking lots of water is also helpful as well as taking supplements rich in zinc, Vitamin C and E. There are lotions and creams that can thwart stretch marks formation; those with cocoa butter ingredient can lessen their appearance. Additional Information: How Husbands Can Make Pregnancy Easier? Then journey of pregnancy is not easy and it will never be. 9 months or 40 weeks is a very long, tiring period for moms-to-be. Many fathers want to give their share in the pregnancy journey, and at least, lessen their wives’ pain and discomfort. Find out how husbands-to-be can help out their wives during the pregnancy period. Accompany her during prenatal care: If she needs ultrasound and other laboratory work-ups, go with her. Learn the fetal growth and development and what maternal changes are expected to occur during pregnancy. Help in planning for child care: Be excite on the baby’s coming by purchasing items or talking to your partner about probable names for the baby. Be active in household works: Dealing with cleaning agents, litter box and pollutants should be refrained during pregnancy. Join her in exercise or any physical activity: Go swimming together. This not only benefits mothers and babies but likewise strengthens relationship and promotes bonding. Make sure she gets rest and enough sleep. Be more understandable and considerate, pregnant mothers are undergoing not only physical changes but also emotional and mental adaptations. If any problem arises, talk to her properly and calmly.